* Please join OneDay Social Volunteering-NYC Team along with OneFamily-NYC, for a Shabbat Oneg with drinks, cholent, & friends at Talia's Steakhouse on Friday night, Dec. 20th, starting @ 10PM! TICKETS: $18 until Dec. 18th / $25 after. RSVP NEEDED: Click "GOING" on their Facebook event page & purchase your tickets here. * Talia's invites you to join them in ringing in the New Year. They will offer their usual live music with no cover charge, 2 large flat screen TVs for those who want to see the action at Times Square, and delicious food! Prix fixe menu and limited a la carte menu will be available. Complimentary glass of champagne at midnight! Order online & save: 10% off your order (no minimum) - just enter ROLLS10 at checkout. Save 15% on orders of $75 and up with code ROLLS15. Jewish Community Center from Dec. 13-April 12. 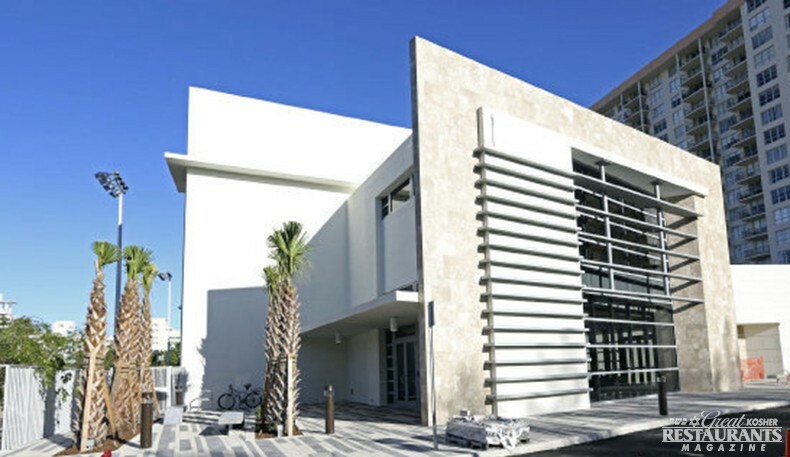 The inaugural Shabbat Meals on the Beach program is being sponsored jointly by the Miami Beach JCC and Synergy by Danziger, the Florida branch of Danziger Kosher Catering. "Shabbat on the Beach" will serve buffet-style dinner and lunch under Kosher Miami and ORB. The lavish buffets include carving stations, dessert tables, and a selection of fine wines, among other features. Childcare with the licensed JCC personnel and Shabbat elevators are also available. Register for the program early, as seating is limited. The Galbut Family JCC is conveniently located along the Intercoastal Waterway at 4221 Pine Tree Drive, within a walking distance from a number of synagogues. Fight off the cold with some of their new menu items, like the delicious Butternut Squash Soup. Bring a friend for the Intro Platter for Two, which includes six different dishes for you to try - perfect for your first, tenth or hundredth visit to Hamachi! Join Milt's to kick off 2014 in style! They'll be offering a full day of festivities on NYE, including fun for the whole family! 3:00PM: Family NYE Celebration! Bring your kids to Milt's for a festive celebration with the whole family. Countdown to New Year's at 4PM, as Israel brings in the New Year! Activities and sparkling grape juice provided. Ideal for children 12 and under. $5 per child. 6:00PM: First seating of our festive New Year's Dinner! Join us for an amazing multi-course menu from Chef Bryan, featuring smoked prime rib, seared tuna, and more! A bottle of wine or champagne is included with the ticket price. $100 per person. 9:00PM: Second seating of our festive New Year's Dinner, with live music from Grammy-nominated jazz pianist Greg Spero! Multi-course menu, wine or champagne, a live jazz performance and countdown celebration all included in this ticket! $150 per person. Standing room only tickets are also available for the Jazz concert and countdown! Champagne toast included. $50 per person. Tickets available by calling 773-661-6384 or by visiting their website. Milt's regular menu will be available until 5:00PM. Bring in the New Year with a bang at Milt's! at 6:30 pm. This private 3-course dinner with after-dinner reception carefully pairs each course with fine Tomintoul Aged Scotches imported from Scotland; including 14, 16, 21 and 31 year old whiskeys. Special guest and visiting scotch expert, Shlomo S. Blashka will guide diners through the exquisite subtleties of these fine spirits as they enjoy the pairings. This evening is available to the first 50 ticket holders. Tickets are $125, must be 21+ years old. Click here to purchase tickets. Wine Tasting Class on December 16 at 6:30 pm. Tasting room sommelier, Eileen will share the finer details of wine and wine tasting - a very fun and educational evening for all. The space is limited. To reserve your spot or contact them at (805) 983-1560 or dleary@herzogwinecellars.com. Special shipping offer: Through December 31st, Herzog Wine Cellars is offering to pay the shipping on ANY order of 12 bottles or more to any of the following states: CA, CO, FL, IL, MI, MO, NY, OR, TX. Please contact their tasting room at (805) 983-1560 for more details. Another Montreal's kosher restaurant has fallen victim to what is being suspected as arson. Fire broke out in the unfortunately-named Fuego Steakhouse ("fuego" means "fire" in Spanish) in Côte St-Luc neighborhood early morning on December 2. The arson squad is investigating as firefighters found an empty gas container on the premises. Fuego's owner Amir Toledano dismissed speculation that increased competition was a motive. Sources say the damage was so extensive the building needs to be demolished and rebuilt. With several kosher restaurants having been targeted earlier this year, the Jewish community is very concerned by this disturbing pattern. 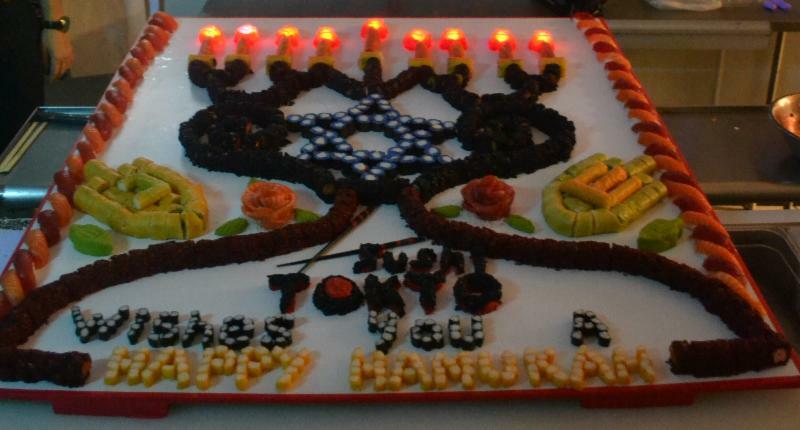 Even though we are a week removed from Chanukah, we wanted to show you another restaurant's impressive sushi menorah creation - this done by the chefs of Sushi Tokyo in Brooklyn for the Chabad of Sheepshead Bay. Kudos on a spectacular job! We have written before about Mason & Mug, the newly opened small plates restaurant and wine & beer bar in Brooklyn's Prospect Heights. Tablet Magazine and Jewish Daily Forward both published features on this unique restaurant and its "quirky but welcoming" vibe. Read in full at the links above. The chances are you've never heard there is a kosher place to eat in Newark, and yet, there is The Green Chickpea, a Middle-Eastern restaurant on Hasley St., which opened last August. The are under the Vaad Harabonim of Flatbush, and offer shwarama, shnitzel and shish kebab as well as a variety of vegan options. The owners, Martin and Ronit Weber are not newbies in the restaurant business (they used to own 3 restaurants in Manhattan called "House of Pita"), and they saw the opportunity in opening a kosher place in the city, gearing for renaissance. The restaurant caters to both Jews and non-Jews, vegetarians and meat-eaters as the owners do not want to limit their customer base and simply want people to come for the good food, fast service and warm vibe. Read more in this article. Read this heartwarming article about Leah Adler, Steven Spielberg's mother and proprietor of the upscale dairy restaurant Milky Way on Pico Blvd. in Los Angeles, as well as about their family's kitchen-centered Jewish traditions. "The Kosher Spot" opened in May to fill the void. 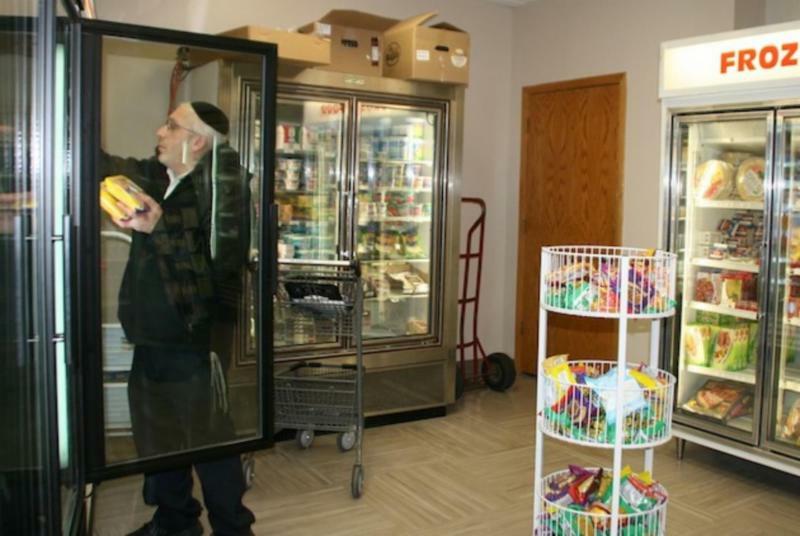 The Kosher Spot is a tiny grocery store located in the heart of the Orthodox neighborhood of St. Louis Park in Minneapolis. It is a one-stop grocery stop, where the owners - the Weinberg family - try to get things customers ask for. In addition to serving as the valuable provider of kosher groceries, The Kosher Spot also has become a community gathering place. Read the full article here. 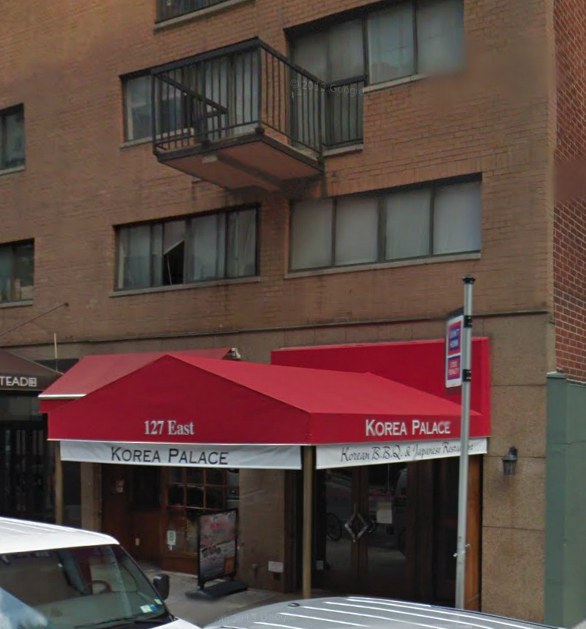 The owners are also planning to open a kosher restaurant in the winter or spring of 2014. 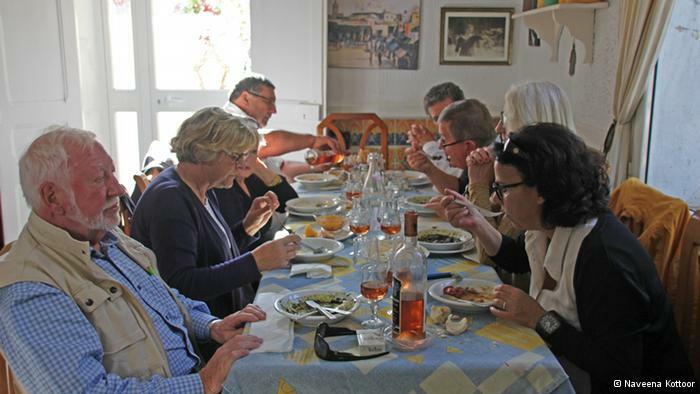 6-table place housed inside an Italian villa in the sleepy seaside suburb of La Goulette. The owner Jacoube Lellouche serves the kind of food he grew up with - a mix of Mediterranean and Middle Eastern influences, while his 86-year-old mother LIly, "a library of Jewish Tunisian cooking" oversees the kitchen. With the Jewish Tunisian population having dwindled in the past 50 years, Mamie Lily serves to preserve the local Jewish cuisine tradition, at least for the time being. Read the full story here. An interesting article on Forbes.com "Is Kosher the Next Big Thing" looks into the mainstream appeal of kosher, and kosher foods becoming the next big trend. Read in full here. No more matza balls and knishes - with gourmet contemporary kosher cuisine on the rise, upscale caterers are re-inventing the kosher dishes. The article on bizbash.com talks about how kosher caterers address the needs and tastes of the modern, more sophisticated client. Read in full here. Cafe K, the popular dairy restaurant with 3 locations throughout Brooklyn and Manhattan is trying their hand in the meat business. 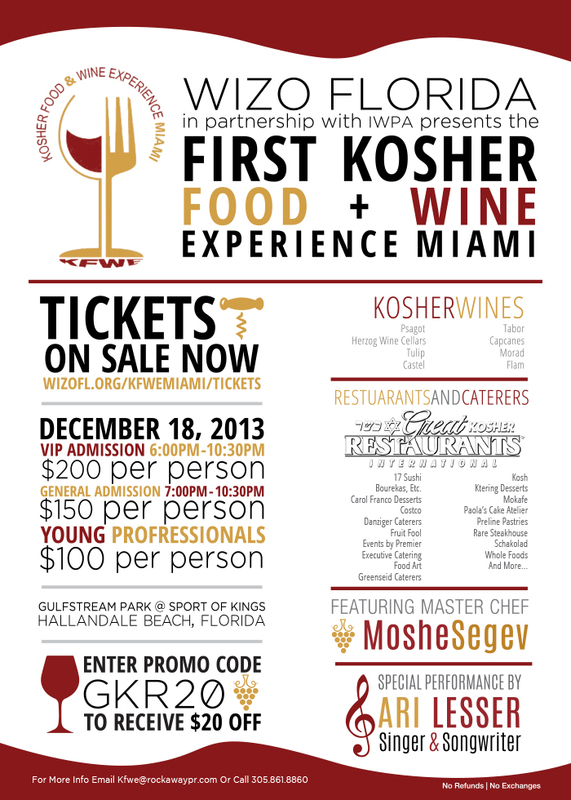 Get $20 off next week's Miami Kosher Food & Wine Experience (see code or flyer below). Wizo Florida (Women's International Zionist Organization) in partnership with IWPA (Israeli Wine Producers Association) presents the first Kosher Food & Wine Experience Miami. Great Kosher Restaurants International will be there and is one of the proud sponsors of the night. The event will take place Wednesday, December 18 in Hallandale Beach, FL, and will offer guests the opportunity to sample hundreds of wines paired with delicious gourmet foods presented by top kosher restaurants and caterers in South Florida. Mokafe / Paola's Care Atelier / Preline Pastries / Rare Steakhouse / Schakolad / Whole Foods, etc. The world-class selection of more than 30 wineries include winemakers like Psagot, Herzog Wine Cellars, Tulip, Castel, Tabor, Capcanes, Morad, Flam and more. 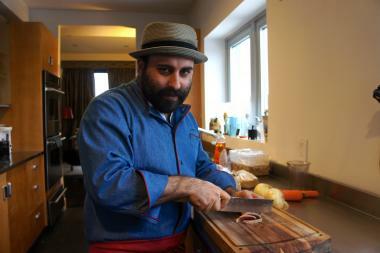 The event will feature master chef Moshe Segev and special performance by singer and songwriter Ari Lesser. Click here to purchase tickets. Use code GKR20 to receive $20 off. Abigael's is featuring special Thanksgiving menu - click here to view. Only for Chanukah (11/27 to 12/05) - Sushi Menorah for $79.95. See flyer. They are making fresh sufganiyot in-house - for every six you get one free! To ensure availability pre- orders are welcome. Click here to view their special menu for Thanksgiving. They will be open from 12pm to 10pm that Thursday. Their regular dinner menu will also be available. View their Thanksgiving menu here. They are offering an option of a prix-fixe Thanksgiving dinner at $32.95 pp (+ tax & gratuity), as well as menus for 10 or 15 people for home delivery. For the holiday of Chanukah, they are offering a Falafel +Sufganiya Special for $5.95. One per customer, valid until 12/05/13. Print out the coupon here. Introducing new prepared food specials for Thanksgiving and Chanukah. Click here to view their Thanksgivukah packages. Custom holiday gift packages available from their kitchen and pastry department. They'll be serving a special Thanksgiving buffet for $14.95 per adults, kids under 10 are 1/2 price. The buffet will include: Turkey Korma, Sweet Potato Pakoras, Tandoori Turkey Drumsticks, Naan, multiple vegetarian dishes, salad, and dessert. They will also offer a Turkey Dinner special to go along with their extensive menu. 3:00PM, 5:00PM, 7:30PM, 10:00PM. 3 prepaid, prix fixe menu options - $32, $46, $55 per person. Kids menu is available at $25 per child (10 and under). Catering packages are also available. For info on menus and prices, click here. Featuring Chanukah fiesta - $325 for 25 ppl, advance orders strongly recommended. See the Brooklyn flyer here. Enjoy the holiday spirit of both Chanukah and Thanksgiving with their delicious food, a mentalist magician show, live music and other fun surprises. Five-course menu is $65 (+ tax & gratuity) and includes amuse-bouches, soup or salad, a choice of appetizer, a choice of main course, and a dessert. $35 wine pairing option available with choices for starter, main and dessert wines.Children get free kid's meal every night of Chanukah from 5-7pm (except on Thanksgiving). Reserve by email, Facebook or by phone. Enhance your party with special Chanukah platters starting at $39.95. See flyer. Join China Glatt on Tuesday, Nov. 26 for a Pre-Chanukah Spectacular with Master Illusionist David Blatt. See flyer. They will be serving a prix fixe Chanukah Thanksgiving dinner at $45.95 pp (plus tax & service fee). See menu here. Thanksgiving and Chanukah Special: One glass of Wine with your entrée! Or, you can use their Chanukah gift coupon for $5 off any purchase of $50 or more (not valid on Sunday). Download the coupon here. They are offering Thanksgiving Dine-In Special for $29.95 pp, as well as Thanksgiving takeout dinners. Chanukah parties catering is also available. See flyer for details. To enjoy Chanukah without gaining, Nu Cafe 47 is introducing protein pastries. High in fiber and protein, sugar-free (made with agave nectar), organic and gluten-free. See more here. View their 4-course Chanukah/Thanksgiving menu here. The price is $80 per person. Chanukah Specials: Platters Half Fish Half Vegetable, 48pc $25, 80pc $48. Take the day off from cooking Thanksgiving this year and enjoy a special meal at T-Fusion. View their menu here. They will also feature a special prix-fixe Chanukah menu at $55 pp. Wolf and Lamb will be serving Thanksgiving prix-fixe dinner menu, $69 pp (+ tax & gratuity). They will also add special winter menu items, available after Thanksgiving. View the new additionshere. Cho-Sen Garden in Queens, Cho-Sen Island in Lawrence, NY, and Cho-Sen Village in Great Neck, NY will be serving Thanksgiving dinner, available a la carte or prix-fixe for $30.95 per adult. View the menu here. Chanukah specials: They're open this Saturday night serving a free latke with every main. Lunch Specials are served from 11:30 to 4:30 pm for only $8.99. Kids menu is only $5.99. Get 10% for every takeout order of $50 or more. Click here for the flyer with all the details. They will be featuring a special Thanksgiving dinner menu. A la carte menu is also available. They are offering a prefixed Thanksgiving Dinner menu at $29.95 per adult and $19.95 per child, as well as a Thanksgiving Takeout menu that feeds 10-12 guests. They will be open on Thanksgiving 3:30 pm - 8:30 pm with a special menu. Price is $60 pp + tax & tip. The highlights from the menu include: Olive Oil Poached Sweet Breads, Gnocchi, Pulled Veal Latkes, Short Ribs, Thai Curry Turkey Thigh, Mustard Glazed Hanger Steak, and more. View full menu here. Fumio Grill & Sushi offers a special Thanksgiving Package for 12. View here. They will be open for Thanksgiving lunch until 3:30 pm. View their special Thanksgiving and Chanukah party packages here. They have now stopped their online orders, but may have a few extra packages available, so call Aryeh or Moshe at the store. Smokey Joe's will be open for service on Thanksgiving day 12 pm to 8 pm, and you can bring your entire family to the restaurant for a meal or a private party. Call 201-836-7427 to make arrangements. Once again, they will be having a delicious buffet on Thanksgiving - reservations are filling up fast. Seating starting at 12 pm to 7 pm, $44.95 (adults), $22.95 (kids 4-12) + tax & gratuity. Click herefor details. They invite you to join them in their dining room for the five course prix-fixe Thanksgivng Dinner, Seating from 11 am- 9 pm, $79/adult, $35/child (12 & under). Reservations required. The Early Bird is Turkey Too! Join them for a reservation from 11 am to 4 pm and save. The early turkey special is the same succulent five course prix fixe for $65/adult and $25/child (12 & under). They will be offering special Thanksgiving Dinner menu with an option to order a la carte or get a prix-fixe menu ($85 + tax & gratuity). View their Thanksgiving catering menu here. View their Thanksgivukah Menu here. Special Thanksgiving menus: click to view their Thanksgiving Dinner and Thanksgiving Takeoutofferings. Pat's will be open for Thanksgiving from 3:30 pm to 9 pm serving their prix-fixe Thanksgiving menuonly. View their Thanksgiving takeout menu here. Schwartz bakery and Deli now has a potato latkes special for Chanukah. Mini latkes are only $0.95 ea. and larger sized latkes are $1.25 ea. CHANUKAH ON THE BEACH! Tierra Sur invites everyone to celebrate Chanukah on the shores of Hollywood Beach at Chabad of Oxnard. It's a complete weekend get-away with food, fun and rooms at the shore. Arrangements have been made with two of the area's hotels to arrange the group rates. More details on the flyer. Thursday: Thanksgiving at Tierra Sur. Click for the menu. Friday: Special Lunch Menu at Tierra Sur and first ever Shabbat Meal To-Go available for $50 (both Friday Night and Saturday Day meals available). Saturday: Herzog Saturday Nights presents MAGIC NIGHT with the world famous illusionist Johnny Ace Palmer. Special bar menu, cocktails, craft beer and more will be served. More details here. Sunday: Take advantage of 'Black Friday Weekend' specials in their tasting room, and enjoy full service luxury at Tierra Sur. To place your orders for Shabbat Meals and for more information, please contact Michael Gomez at (805) 983-1560 /mgomez@herzogwinecellars.com. For the holiday season they have the addition of: Potato Latkes @ $1.25 ea, Vegetable Latkes @ $1.50 ea., a set of 48 Sweet Potato Balls @ $36. Their regular menu will be available too. They will also be offering Chanukah party trays to be pre-ordered before Nov. 28. View the menu here. Ernie & Ellie is now open on Saturday nights, and is offering a dining room super saver: 12 oz Broiled Rib Steak for $16.95. They are also offering a number of Chanukah takeout specials - see the menu here. Eli's Restaurant in Washington, DC has found a new location and will be moving to 2142 L Street, NW, Washington, DC 20037 (Former location of Jonathan's Gourmet Deli). As we reported earlier, Eli's Restaurant was forced out of their old location at 1253 20th St. NW due to the building demolition, and has been actively searching for a new home. The popular restaurant has been serving deli sandwiches, hamburgers and soup since 2004, and its potential closure has become an issue of concern for the downtown Jewish community. Now, as the new location has been assured, the kosher DC clientele will not be left hungry. 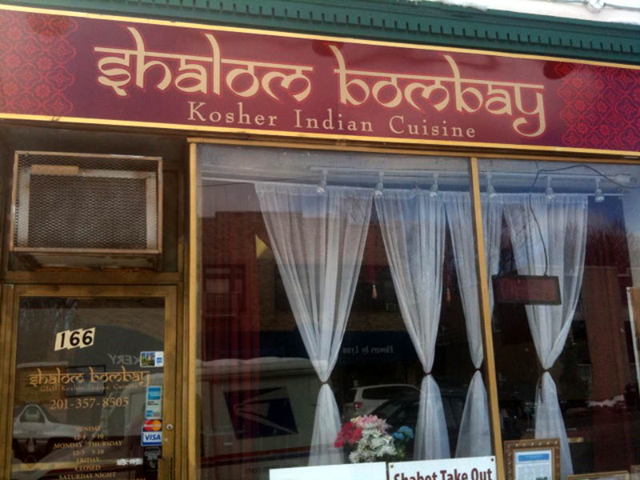 Shalom Bombay is opening back up in their former location in Teaneck, NJ at 116 Cedar Lane (pictured here). They are scheduled to open in a couple of weeks and will be under the strict supervision of the RCBC. The restaurant will be serving dinner only form 5 to 10 pm, and on Saturday nights in winter. Their Manhattan location (on Lex and 39th) is also open continuing to provide the only glatt kosher 100% Indian cuisine in the U.S. The ever popular Upper West Side establishment, Mike's Bistro, is opening a location in Midtown East at 127 East 54th Street (between Lexington and Park Avenue). Projected opening date is Spring 2014. For more on Mike's Bistro, click here. Now, this is a very interesting development with Prime Grill opening their new location just 3 blocks away a few months ago. And with Solo 2 blocks away, this short block radius will become the new hotbed of kosher restaurants. This also gives the Upper East Side some extra and very much needed life. And it should be interesting to see what Mike does with his 72nd location and if he does move out of the area, which will leave a big hole in the Upper West side dining scene (especially with Estihana's recent close). It should be fascinating to see what effect this will all have. The rapid movement we have seen with upscale places in Manhattan the last couple of years is amazing. It used to be that the top kosher restaurants would stay in their location for years, even for just the fear of moving and jeopardizing their stronghold. But perhaps with the economy more stable and kosher consumer loyalty strong as ever, these restaurants can take the risk. 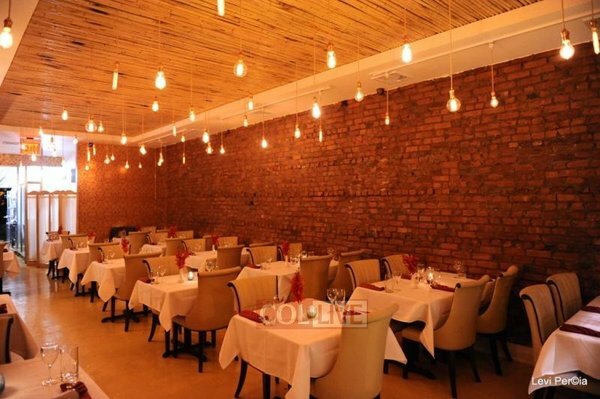 Nevertheless, this is big news for corporate and business kosher diners as it gives them another upscale choice to take their clients for business lunch and dinners. at a Brooklyn Nets basketball game, to be held at the new Barclay Center. 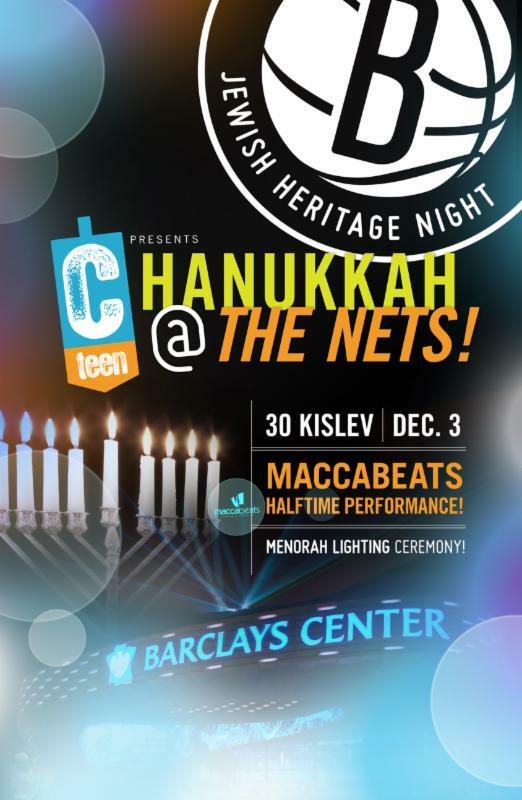 Highlights of the night include: Pre-Game, Primetime grand menorah lighting, a Halftime performance by the world-renown Macabbeats,and a National Anthem performance by Benny Friedman. The event starts at 6:30 pm. To purchase tickets, please click here. Kosher food will be sold throughout the game at the Kosher Food Court. This promises to be a truly special evening, bringing together people from all over tri-state for a fun event for the whole family. "Great Kosher Restaurants" is proud to be a sponsor. 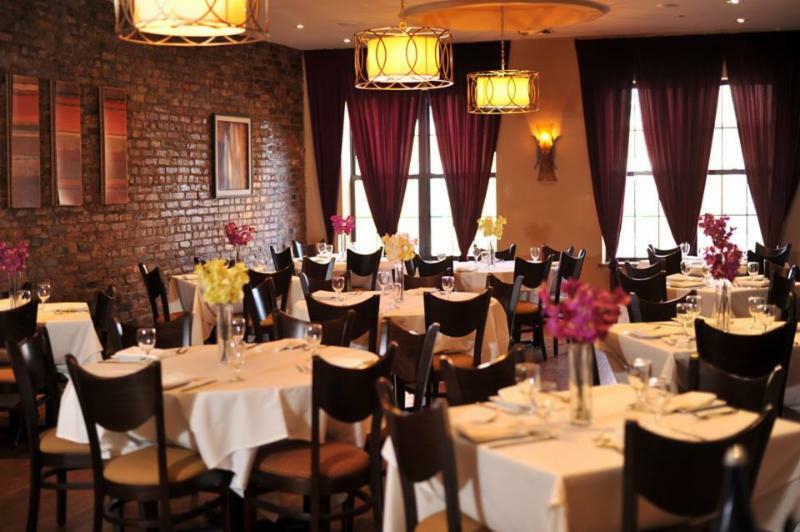 The Loft Steakhouse, an upscale restaurant in Boro Park, Brooklyn is a reincarnation of Bistro 1310 under new ownership. Not only will the name being changing but the owners have also brought on board Executive Chef Boris Poleschuk, an acclaimed top-rated chef who starred in Hell's Kitchen TV-series. Boris Poleschuk will be redesigning the menu expertly pairing each cut of meat with sauces and accompaniments. The restaurant will feature two kitchens: the downstairs prep kitchen, where the butchering is done, the vegetables are chopped, and sauces and stocks are prepared, and the upstairs kitchen, which is used for finishing and plating dishes. There is a private party room upstairs for events and celebrations.